TICKETS ARE ON SALE NOW for our Holiday Wine, Beer & Spirits Walk! Bring your friends, your holiday spirit, WEAR YOUR CRAZY HOLIDAY SWEATERS (bonus points if they’re blinking! ), and join us at this fantastic & fabulous event! 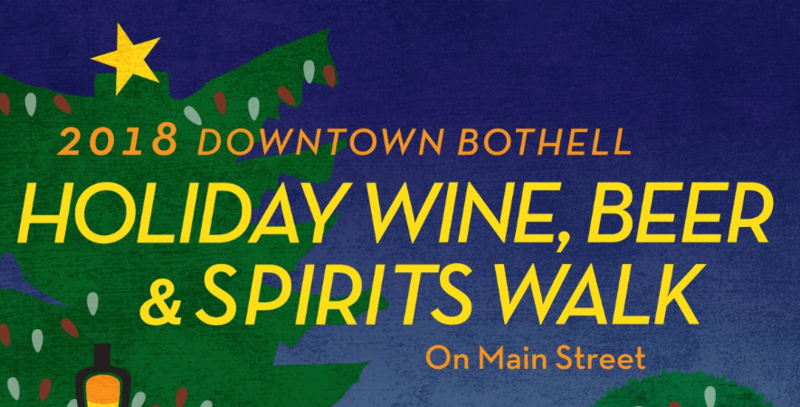 Enjoy: sampling from dozens of delicious wines, beers & spirits; fun activities, and special deals while socializing and shopping at many different shops and businesses on Main Street. Come Sip, Shop & Stroll! 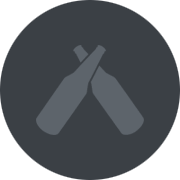 Participating Wineries, Breweries, & Distilleries! * All specials and activities are limited to ticket holders of the 2018 Holiday Wine, Weer & Spirits Walk, have restrictions and limitations, and are limited to the time of the event unless host business dictates otherwise. All specials and activities are at the sole discretion of the host business and they should be consulted for details. Thank you to our generous Event Sponsor and Community Partner:University of Washington Bothell for making this community event possible!